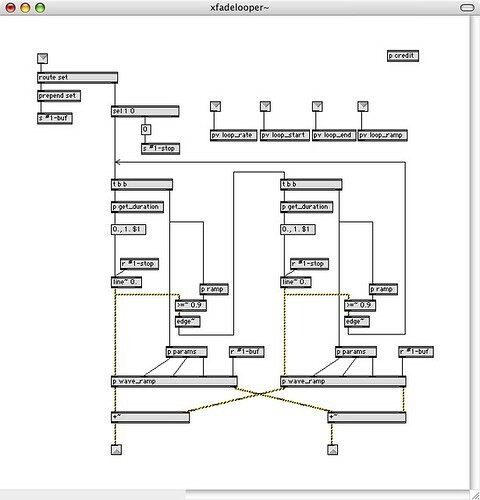 Loop through regions of sound files and modulate any parameter without causing clicks. 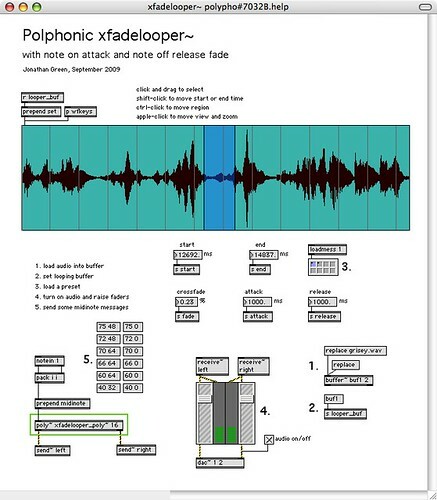 Based on Ableton Live’s “Simpler Sampler” instrument, this patch allows the user to loop through any region of an audio file, using a MIDI keyboard to define pitch and velocity. A middle C will loop the region at the original pitch/speed, whereas one C below middle C will loop the region at half speed. ‘Notes’ have an attack/release time. 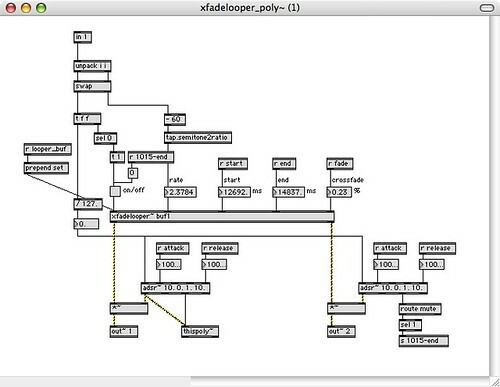 Any parameter can be changed including loop points, crossfade amount etc. without causing clicks. Playing clusters on the MIDI keyboard results in several loops of differing speeds. Modulating the loop points at the same time creates irregular patterns.